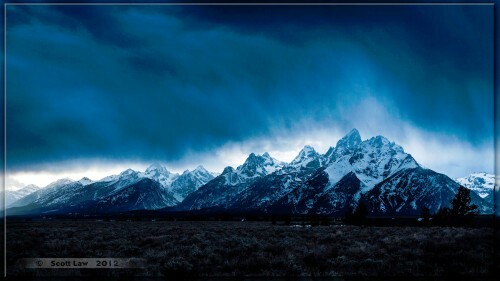 Storm clouds over the Teton mountains in Grand Teton National Park, Wyoming. Credit: Special thanks to Scott Law for making the photograph used for this jigsaw puzzle available through the Creative Commons Attribution NonCommercial NoDerivs license. Visit Scott Law's Flickr photostream. See all jigsaw puzzles based on Scott Law's photographs.